The message is straightforward and practical: we can’t rely on anything to be fixed or permanent, our actions have consequences, and we can change. One way of looking at how we can change is through Buddhism’s three-fold path of Ethics, Meditation and Wisdom. These guidelines help us to live with a clear mind and develop positive feelings. Acting more skilfully also has a positive impact on those around us. By meditating regularly, we develop both awareness and positive feelings. We become more mindful of our actions, thoughts and bodily sensations and can see more clearly their effect on us and others. We also become more positive towards ourselves and those around us. Through these and other practices, we begin to see life as it really is – that we and everything around us are changing all the time, with many factors at play. We also see that we are deeply connected with others. We learn that grasping after things to be how we want them to be rather than how they are, just causes us and others pain. We can change our perspective to help us feel more liberated and compassionate. 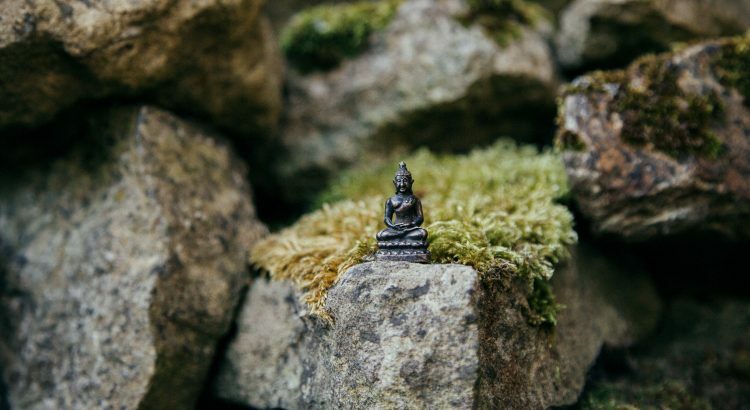 Buddhism emphasises the need for a community of kindred spirits to help us along this path — without the support and inspiration of like-minded people, it is hard to make much progress. Therefore, one of our aims is to create a spiritual community (Sangha) that helps us all fulfil our spiritual potential. In a world of increasing cynicism and individualism, many people feel a deep need for such an environment. Buddhism addresses itself to all people irrespective of race, nationality, caste, sexuality, or gender. It teaches practical methods which enable people to understand and practice its teachings in order to transform their experience, and to be fully responsible for their lives. Triratna is a Sanskrit word meaning 'The Three Jewels'. "may all beings be well"